Mahal de Man studied Fine Art at the Royal Academy of Art in The Hague, The Netherlands, and now lives and works in London. 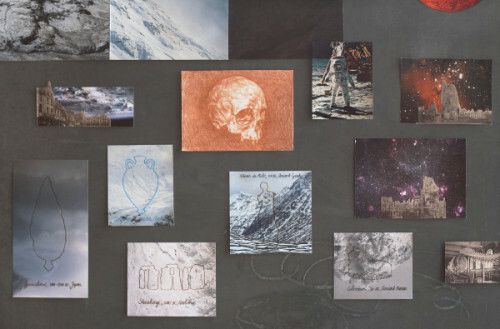 Her artistic practice mainly focuses on collage, drawings and pottery, in combination with imagery of outer space. Through her work she tries to grab hold of the infinite and intangible universe and the meaning of human life.